Keywords: Aromatherapy, AromaStick®, chronic pain, essential oil inhaler, pain management, wellbeing. Keywords:Aromatherapy, AromaStick®, chronic pain, essential oil inhaler, pain management, wellbeing. Abstract:Background: Recently, it was demonstrated in a series of experiments that a specifically designed odor inhaler outperformed well-known and popular stress relieving techniques. 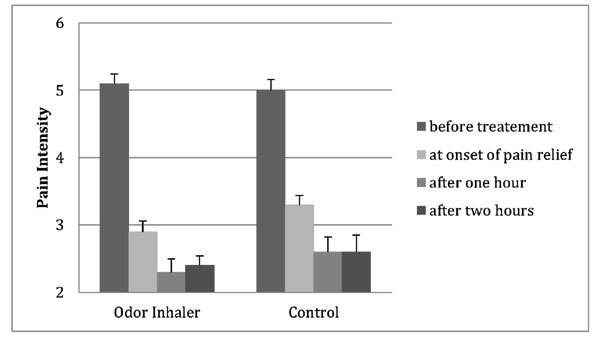 In another study it was shown that odor inhalers increased attention and concentration in a demanding cognitive task.